Between driving into the city and lake-effect snow in the winter, most local motorists don't need to be reminded about getting auto insurance. In Mentor, insurance agents can help find the right coverage for you, your vehicles and other household drivers. They can even set up a policy for your boat and Lake Erie adventures. As a Nationwide member, you can enjoy the Vanishing Deductible® program that rewards each year of safe driving you accrue. And if you ever need it, the On Your Side® Claims Servicewill provide you with a choice of repair shops and an easy way to track your vehicles progress. Whether to satisfy a home lender or protect against homeowner risk, this insurance is almost as universally sought after as auto coverage. In Mentor, home insurance involves a few different local factors including a diverse housing stock and potentially punishing weather events. The right policy fit may also depend on household prioritiespriorities which may evolve over time. 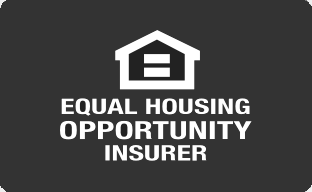 Nationwide agents can explain whats at stake and how different coverage options can customize a policy for your dwelling, belongings and household. Meanwhile, the annual On Your Side Review will help make sure you have reliable coverage year after year. From the Great Lakes Mall to Ohio's actual Great Lake, the area is home to a diverse selection of businesses and professional contractors. The commercial insurance products from Nationwide can cover all your liability, property insurance and risk management needs. Our Mentor business insurance agents are ready to show you how to protect what you've worked so hard to build. You can explore coverage options and quickly view quotes with our convenient online tool. Once you know what you want, feel free to purchase a policy. But you can also reach out to a Mentor insurance agent at any time.